High tides of daily, negative news and food insecurity statistics sing sadly, but here is a motivating, joyful song about a small army of people from all walks of life that are sharing His blessings. His blessing of food, for His people who are in need. 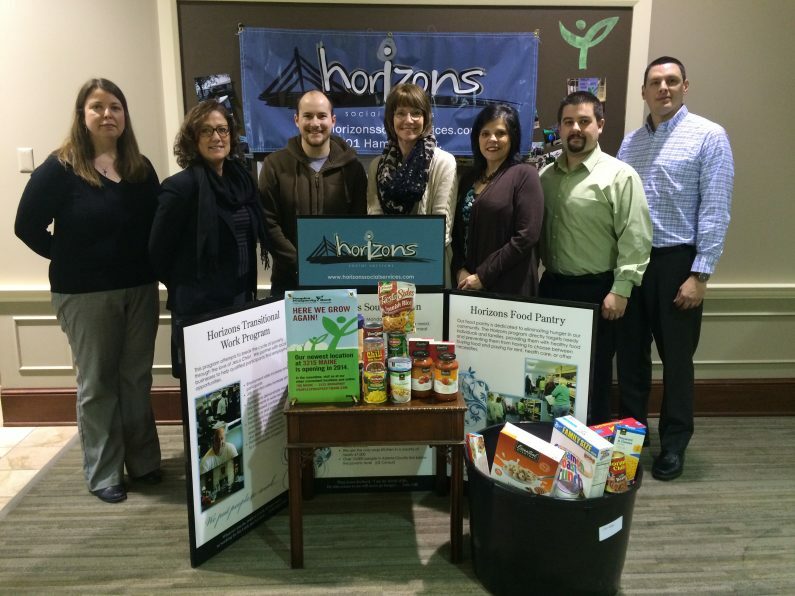 The annual Letter Carrier’s Food Drive provided a wonderful boost and helped restock Horizons Food Pantry. 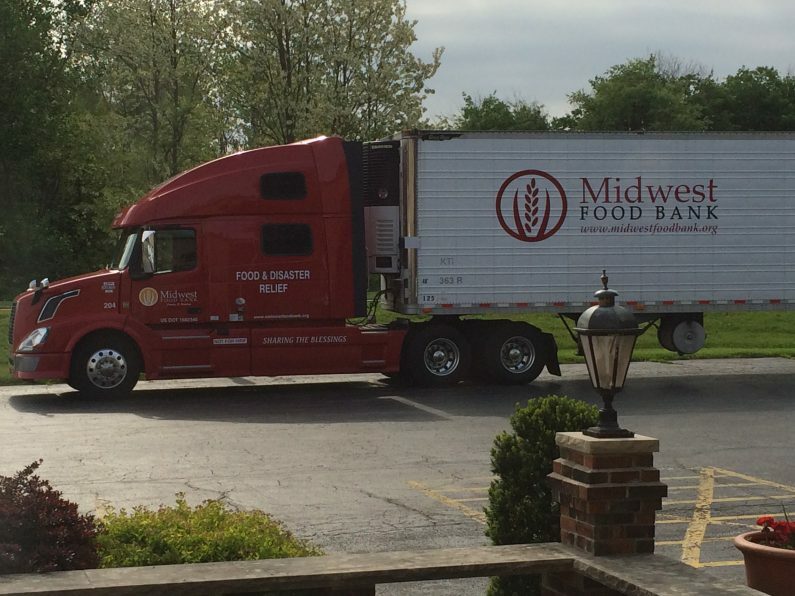 We received a large pallet of food that was collected by our local letter carriers this past Saturday. 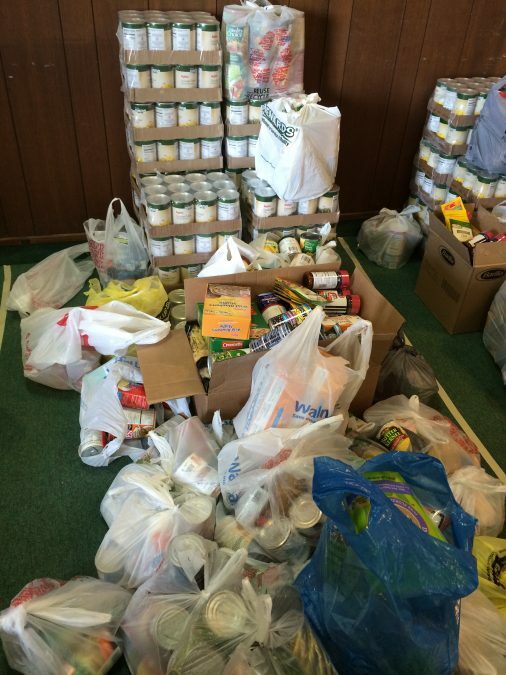 The Operation Serve Youth from St. John’s Anglican Parish collected over 3000 canned goods at the 2014 Dogwood Parade in Quincy, Illinois…. 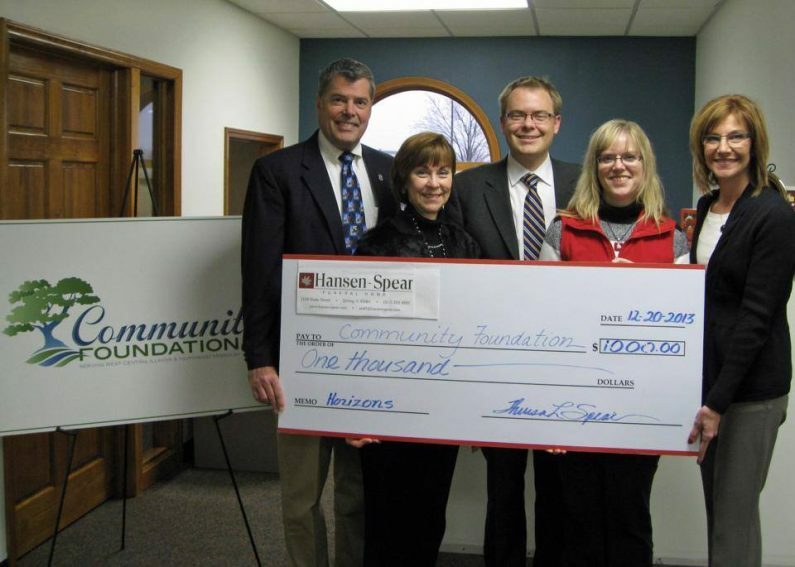 Jeff & Theresa Spear and Will & Kristin Spear are presenting a $1,000 donation to the Community Foundation on behalf of the Horizons Social Services Fund. A special thank you to the Spear family for their generosity and dedication to our community.